Description: Makes a good edible ground cover that can be planted between stepping stones or in wilder, eccentric paths. Perennial. 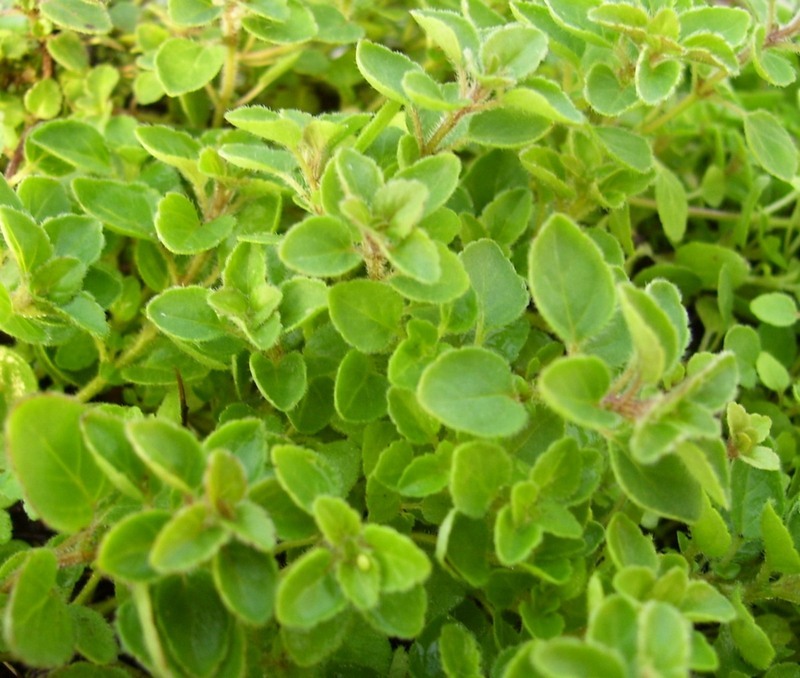 Oregano shaped leaves with the same scent, but somewhat lighter green. Grows 6 inches.